The energy sector is a major driver of economic growth globally. Players in energy and mining industries such as oil & gas, nuclear, electricity, renewables as well as in extraction and resource management have to deal with an increasing internationalization of their projects, their markets and their staff. Communication is critical, and in this international context, so is translation. Since 1986, Lexcelera’s linguists have been offering expert energy translations to some of the world’s leading companies working in exploration & production (E&P), power generation, oilfield services, refining, energy transportation, engineering & infrastructure. With energy translation projects that may run to the millions of words, and deadlines that may seem improbable if not impossible, language technology and quality processes set in stone are key to the success of multilingual projects. 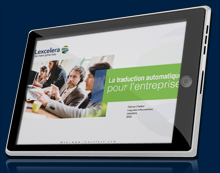 Lexcelera’s world-class innovations in language technologies optimize volumes, speed and costs. High volume translations can be completed in record time, and with the guarantee of meeting agreed upon quality expectations. Whether 10 pages or 1000, projects are delivered on time and on budget. Lexcelera’s translations in over 100 languages are covered by our quality management system, which has been certified ISO 9001 continuously since 2000. Lexcelera is unique in being able to assure a broad range of documents. Translation expertise covers not only the highly technical documents that characterize energy sector needs, but also regulatory filings, legal and financial documents, HR documents, eLearning, and websites and marketing collateral. Founded in 1986, translation company Lexcelera is one of the world leaders serving the energy sector. Lexcelera’s linguistic expertise in the energy field includes petrochemicals, nuclear, electricity, green or sustainable renewables (wind energy, solar energy, geothermal, etc.) as well as mining and extraction, waste treatment, water management and sustainable development. Translation and interpretation projects in the energy sector often require very technical and specialized terminology. When covering drilling or geosciences for example, it is necessary to call on translators with specific experience in the field. This is why Lexcelera ensures that all documents are translated by a team working exclusively into their native tongues, tested and approved in a defined area of ​​the energy sector. Regardless of the format or size of your project, Lexcelera’s mission remains the same: to ensure the accurate transmission of your messages to your target audience with rigorous respect of budget constraints and deadlines. Why choose Lexcelera as your translation company? Lexcelera is an international team of experts working across 20 time zones and 5 continents. Production offices are located in Paris, Buenos Aires and Singapore to ensure follow-the-sun project management. Additional sales offices are located in Vancouver and London. With ISO 9001-certified quality procedures, innovative technologies and experts available 24 hours a day, Lexcelera powers your communication in the energy sector. Are you interested in knowing more about our energy translation services? Request information, or a free estimate for your translation project and we will respond within two hours. Ask us about launching your project via our One-Click translation portal.